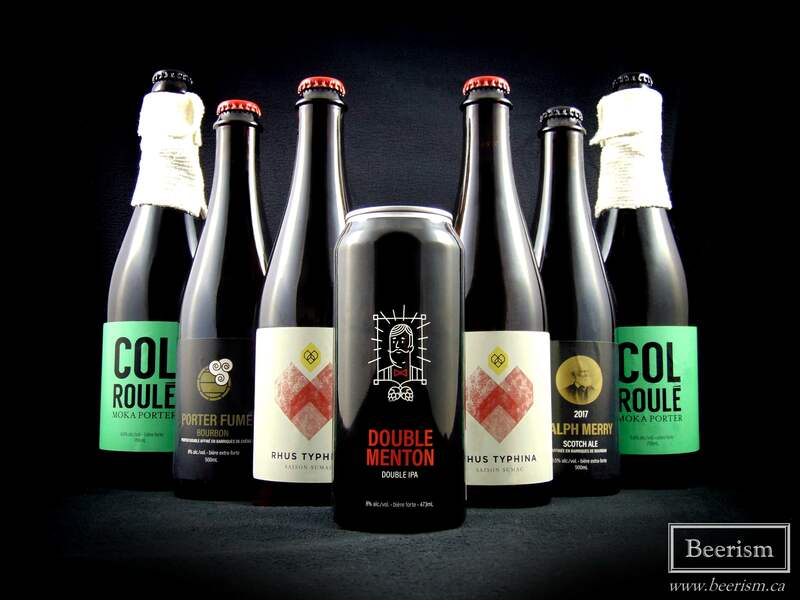 The folks at Microbrasserie La Memphré have been busy over the last few months, delivering several brand new beers to the public as well as some returning classics. This Magog-based brewery is a must visit if you find yourself in Quebec’s eastern townships. The stand alone brewery and restaurant has a quaint and cozy vibe, while also being a spot to drink several pints and have a good time. There are always plenty of beers to try when visiting La Memphré. However, if you’re not able to make it out to the townships, several times a year they bottle different offerings and distribute them throughout the province. I’ve written about the bottled beers from La Memphré several times now, and I’m always impressed with their ability to be both extremely approachable yet multi-layered and complex at the same time. How do you make a bourbon barrel-aged scotch ale so damn drinkable? Well, they managed to do it, and they did it well. Today I’m going to talk about a few different beers, and as I mentioned above, some are brand new and several are returning. 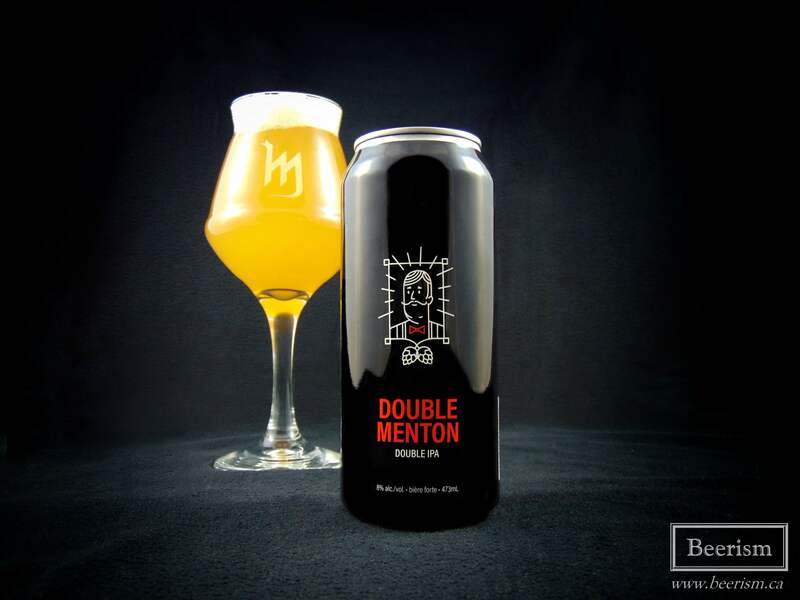 Double Menton is a double IPA that made a triumphant canned return recently. I was very excited to revisit it in its new format. The nose is a bright mix of zesty citrus, with some tropical undertones. Some pine and general juiciness comes through as well. The palate matches, with an incredible balance. Upon my first sip, I was expecting a bit more punch. However, instead of being disappointed over not getting that turbid intensity, I’m impressed with it’s subtlety. Virtually no alcohol is present, and it drinks smooth and easy. Tropical fruits meet lots of citrus and general orange tang, with a clean feeling that flows super well. It’s impressively dry, but not too bitter. Delicious. Ralph Merry dropped for the first time in 2016. 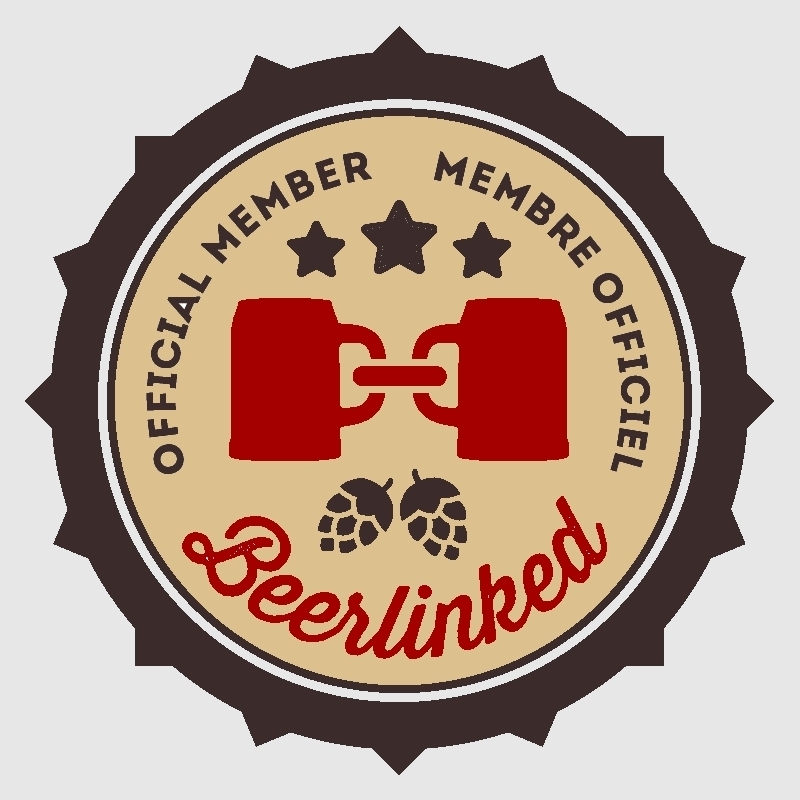 It’s a bourbon barrel-aged Scotch ale, and people (including myself) fell in love with it. Let’s hope the 2017 edition is just as lovely. The nose is a huge bourbon blast of vanilla, mixed with some rich caramel, toasted grains, oak, and maple sugar. The palate starts with a big luscious body, followed by some sweet essences of brown sugar and taffy. That said, it’s exceptionally dry and drinkable. Light dates and figs come through, alongside several vanilla-focused bourbon layers. The finish is quite bitter and slightly tannic, carrying a ethanol spirit-like astringency that cuts through any sweetness. As expected, the balance is on point, with just enough barrel to counter the rich flavour profile. 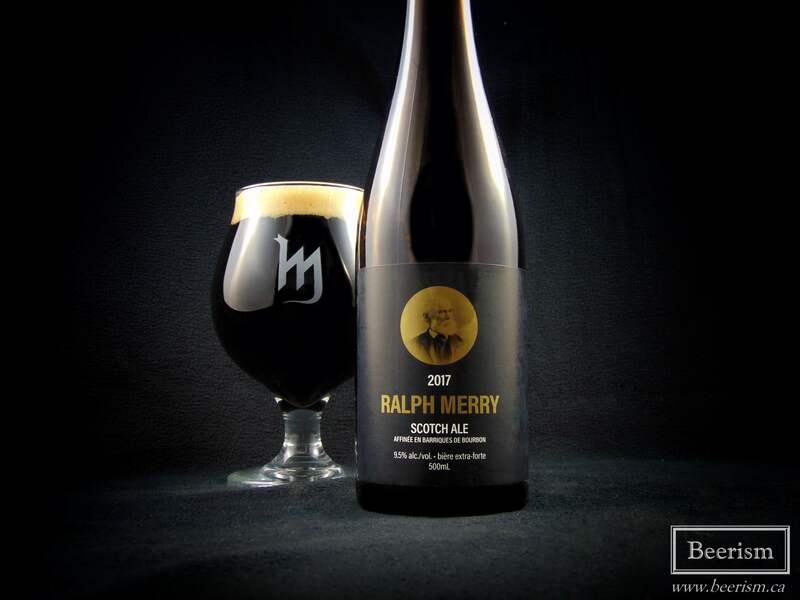 Ralph Merry 2016 was an amazing treat, and this batch is as well. 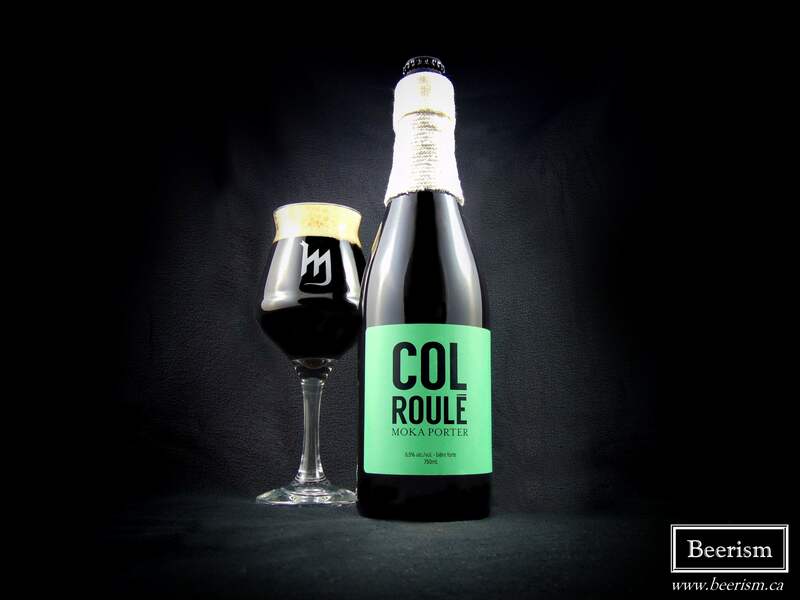 I believe this is Col Roulé’s third time being bottled. It’s a coffee-infused Porter, and I remember really enjoying it the last time I had the chance to try one. The nose is all coffee, with some dark chocolate and light cherry in the finish. Doughy malts lend some sweetness, but this smells dry and drinkable. The palate matches, with a heavy coffee profile, while still balanced and very drinkable. There is almost a schwartzbier lager drinkability to this. That said, the body is still nice, and a bit slick. Coffee, mocha, and a slight yeast presence make up the general flavour profile, with a rich but easy drinkability that makes it go down smooth. This yeast flavour is a bit hard to describe, but it’s certainly there, and I don’t love it. As well, it’s a bit too carbonated for my tastes, which distracts from the rest of the beers profile. These reasons make me prefer the previous batch, but it’s still enjoyable, easy drinking, coffee rich Porter. 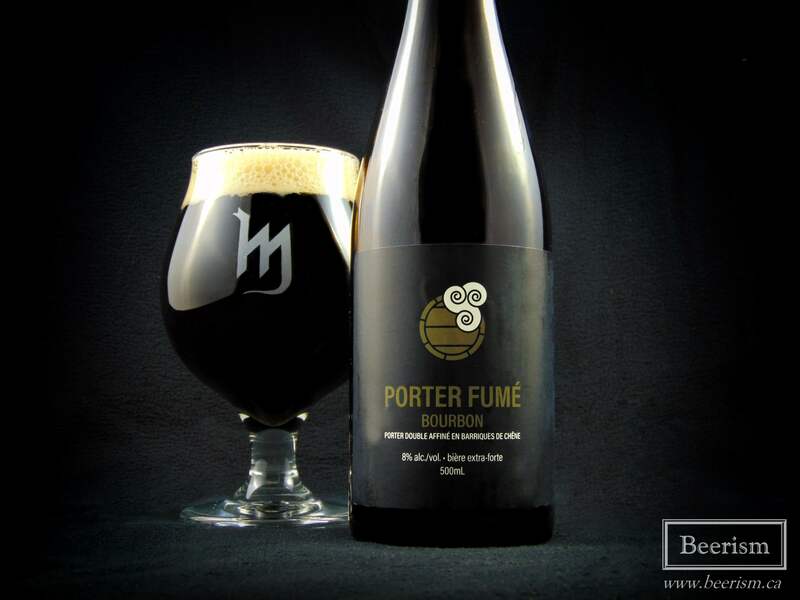 This bourbon barrel-aged smoked Porter is actually a collaboration between La Memphré and Boreale’s amazing head brewer Gabriel Dulong. When I heard this was happening, I knew I needed to get my hands on a bottle. The nose is a rich mix of caramel, leather, vanilla, light smoke, and some barrel. The palate matches, starting with light chocolate and espresso roast flavours that lend accent to some nice caramelization. The smoked malts are very subtle (as I like them), just adding a hint of peaty complexity. The oak provides some tannins in the finish, further drying out this already highly attenuated porter. The bourbon adds a pleasant vanilla layer to the whole thing, as well as a slight ethanol astringency – but don’t get me wrong, this drinks more like a 6% beer, rather than its 8.5%. It’s totally crushable, but still incredibly creamy, slick and smooth. If you’re looking for a luscious bourbon bomb, this ain’t it. Its subtlety wrapped in drinkability, while still being layered and complex. Great beer. 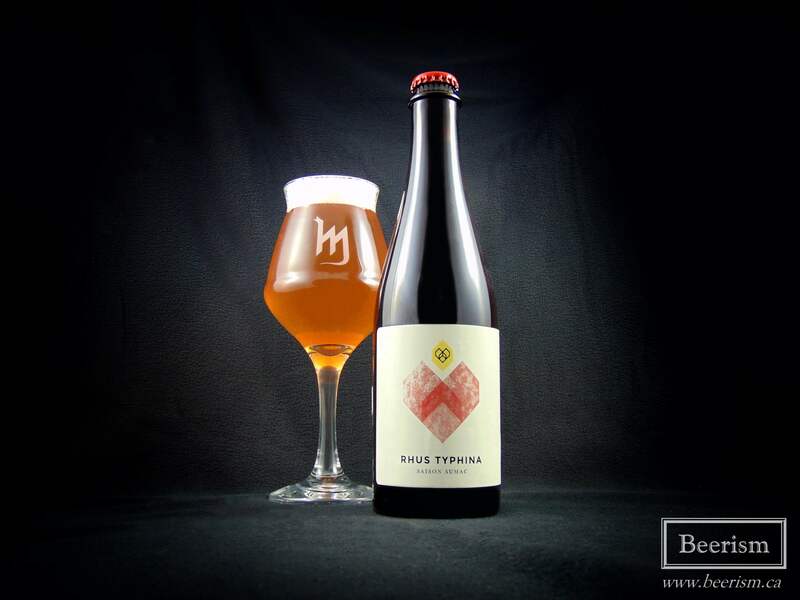 Rhus Typhina is a saison brewed with sumac. The addition of the fruit should impart a lightly tart and lemony component to the beer. The nose is a great mix of spicy yeast phenols, carrying light clove and lots of floral honey notes. It’s a touch earthy with rich fruity sumac aromatics also playing a role here. The palate is subtle. Sweet honey notes mix with a nice light tannic tartness in the finish. This has a great classic saison profile, with the sumac adding some additional complexity to the beer as a whole. It’s wonderfully dry, but still feel full and round. It’s also very clean and goes down super easily (like all of La Memphré’s beers). The sumac adds a hard-to-describe fruitiness to the whole thing, kind of like lemon rinds, but extremely subtle and a bit herbal. This is a delicious, fun beer. La Memphré continues to pump out deliciousness. What always impresses me the most is their knack for taking an experimental angle with a beer, but making it approachable and easy drinking. If you see their stuff in the shelves, I always recommend picking it up.